Boom trucks are ideal when you need to hoist materials to rooftops at heights of 100 feet and more. – Jack Bone, President, Bone Roofing Supply, Inc.
About Bone Roofing Supply, Inc. The company was founded in the West Side of Chicago, IL in 1971 by Claybern and Hope Bone, and their two sons, Jack and Jim. Over the last three decades, the company has grown consistently and acquired the tools necessary to maintain the high level of service their customers have come to expect. A few years ago the third generation of Bones came into the business. 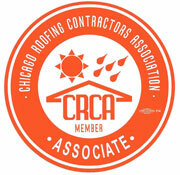 The company provides materials for roofing contractors throughout the Lake, Cook, DuPage, Kane, Will, McHenry, and Kendall counties.